Residents of Corpusty and Saxthorpe will soon be able to vote on the future development of the twin villages in a public referendum. If more than 50% of individuals vote “yes”, the villages’ Neighbourhood Development Plan will help determine future planning applications in the Neighbourhood Plan Area and form part of the statutory Development Plan for North Norfolk. 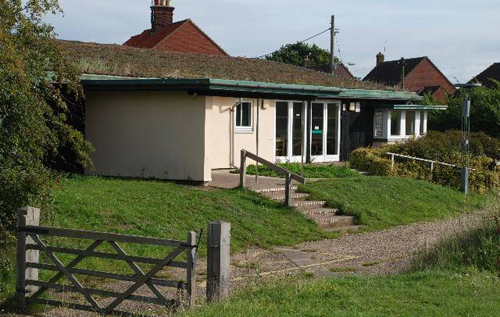 The referendum will take place on Thursday 7 March at Corpusty and Saxthorpe Village Hall (pictured above), Heydon Road, Corpusty, from 7 am – 10 pm. Corpusty and Saxthorpe Parish Council submitted its draft Neighbourhood Plan in June 2018. Policies in the plan allow up to 50 new houses within the new settlement boundary, which could help safeguard the future of the school, pub and businesses, while preserving the character, open spaces and beauty of the villages.